Like millions of other sports-mad gamblers around the world, Dave Farrar loved taking on the bookies. But when the girl that he loved walked out on him without explaining why, it all went wrong and he embarked on an ill-disciplined six-month losing streak that made him decide that he was done with punting forever. As he started to get over the fact that the girl wasn't coming back, he resolved not to give up without a fight. But this time, he was going to do it properly, making sure that he did enough research to take on the bookmakers and win. 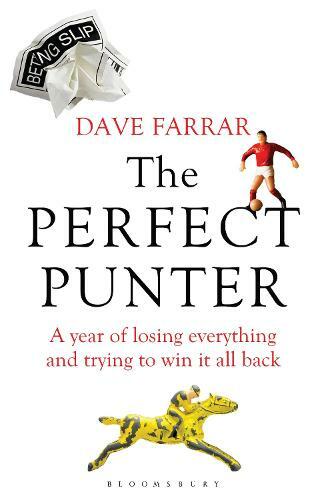 In The Perfect Punter, Farrar delves into the detail of every sporting event he'd lost money on in that bad run to make sure that, whenever he placed a bet in the future, he would know more about it than anyone else. He travels around the world following the sporting calendar, meeting experts who help him get to the bottom of each event so he can try to win back every penny that he lost. From snooker at the Crucible and racing at Cheltenham, to tennis at Roland Garros, golf's Ryder Cup and the US Superbowl, The Perfect Punter is the engrossing story of one man's journey to overcome the odds.